A decade ago, most homeowners looked at the purchase of a backup emergency generator as a discretionary purchase. But as we’ve seen over the last few years, power outages happen more often and can last for days. Are you prepared to live without any of these for more than a few hours? • Or Any Other Household Appliances! 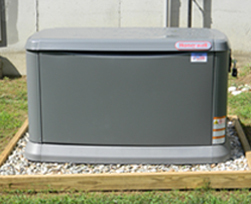 Thankfully, owning a backup generator system has never been so easy! Give the licensed electricians at Bill Trombly a call and we'll come out to your home to conduct a complimentary site assessment to determine what size generator is right for you. For a complimentary site evaluation, call us today at 888-876-6259 or schedule a complimentary generator site evaluation here. Protect your business from unexpected outages that can spoil goods, drive customers away and generally wreak havoc. Give us a call today to find out how easy it can be to have peace of mind during the next storm.